Sports have a universal appeal. Whether you play football with feet or hands, there are crazed fans who eat, sleep and breathe the sport. Sports minded online marketers can cash in during the season for their favorite sports. To score big in this market, you need winning plays and excellent timing. In the United States, football season captures a huge fan base from the college teams and bowl games to the pro teams culminating in the massive appeal of the Super Bowl. In Europe and South America, soccer matches and the World Cup have similar appeal. Months before the “big game,” you have almost seven months to market sports memorabilia, fan gear and snacks for game watching. Speaking of watching, those die-hard sports fans want the latest electronics. You can market reviews of new plasma TVs, DLPs and projectors. You can also sell information products that explain how to install your own wall mounted TV or satellite system. 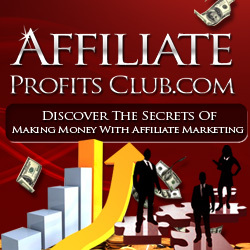 Then get an affiliate connection with a cable system, satellite service or electronics company to make money off products you review or recommend. But that’s not all – make a list of other major sports events that attract huge attention such as the World Series (baseball), Wimbledon (tennis), Master’s and British Open (golf), NASCAR (racing) and Grand Prix (formula one racing), Boston Marathon (running), Ironman (tri-athlete) and Tour de France (bicycling) just to name a few. Each of these major events is preceded by qualifying events, which extend the online marketing opportunities for months before the major event. For each sport, use drill down niche research to find specific marketing options, products and affiliate markets. Then there’s the world wide interest grabber – the Olympics. As soon as the next Olympic site and marketing theme is announced by the host city, you swing into action with online marketing offers. You can easily get the jump on host city marketing by a year or more if you work fast. Be careful with logos and trademarks for the Olympics and other major sports events, but you can work around that or connect with authorized affiliate products. After the flag goes down, the trophy is awarded and medals earned, be ready to flaunt the winners to the fans and console the losing fans. Have some products with the winners’ names ready to launch within minutes of learning the outcome. If you have Super Bowl winning theme products, you need a set for each team and a set of “maybe next year” for both teams. Don’t wait a day or two to get these ready or you’ll miss the first wave of buying while fans are riding high or crying loud.